1 England and Wales, Marriage Index, 1916-2005, Marriage record for Edward J Spencer and Frances R B Roche, Ancestry.com (Online Database). 3 NEHGS NEXUS: New England Across the United States, 1999, Vol. 16, p. 116, New England Historic Genealogical Society (Online Database). 4 NEHGS NEXUS: New England Across the United States, 1997, Vol. 14, p. 71, New England Historic Genealogical Society (Online Database). 5 New England Historical and Genealogical Register, (New England Historic and Genealogical Society), 1982, Vol. 136, p. 96. 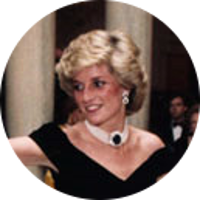 6 Evans, Richard K., The Ancestry of Diana, Princess of Wales , Boston: New England Historic Genealogical Society (2007), 5. 8 Roberts, Gary Boyd, The Royal Descents of 600 Immigrants to the American Colonies or the United States , Baltimore: Genealogical Publishing Co. (2008), 578. 9 Roberts, Gary Boyd and Christopher C. Child, "The Shared Ancestry of (Rachel) Meghan Markle and Prince Harry of Wales", (accessed 11/30/2017). 10 Roberts, Gary Boyd and William Addams Reitwiesner, American Ancestors and Cousins of The Princess of Wales, Baltimore: Genealogical Publishing Co., Inc. (1984), 25, Ancestry.com (Online Database). 11 Roberts, Gary Boyd, comp., Ancestors of American Presidents , Boston: New England Historic Genealogical Society (2009), 638. 12 Wikipedia, "Frances Shand Kydd", (accessed 03/31/2011).